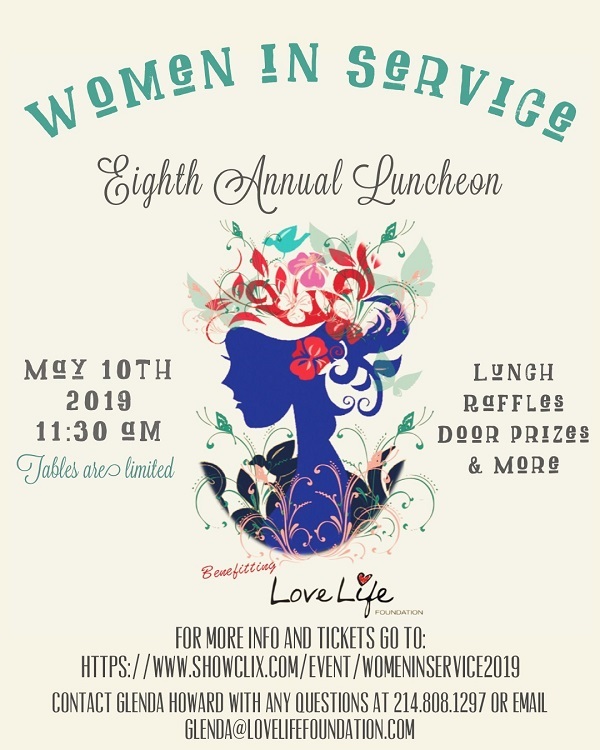 You're invited to the Love Life Foundation's 8th Annual Women in Service Celebration on Friday May 10th at The Sanctuary Music & Events Center. Tickets are just $40 per person for individual seats upstairs, or $350 for a Reserved Downstairs Table with seating for 10 and need to be purchased in advance. All tickets include lunch from Rick's Chophouse/Sterling Catering, we'll have Fashions available from the Love Life Store, Raffles, Door Prizes, and a Parting Gift! This year features guest speaker Denise Kendrick, Executive Director of the Embrace ministry in McKinney.